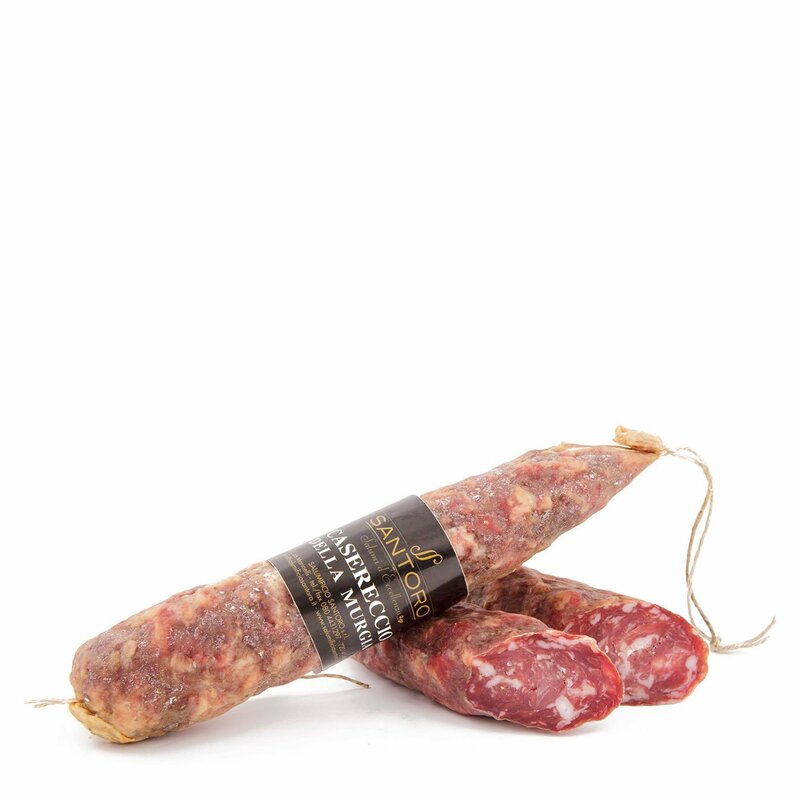 Salumificio Santoro's Homestyle Murgia Salame melts in your mouth: it is a burst of flavour in the best Southern tradition. We use only select Italian pigs, vino cotto, and smoking; slightly coarser meat grain and the natural casing with its wider diameter require ageing between 70 and 80 days. Bite into a freshly cut slice for a quick, filling meal, together with some fresh cheese.